As provincial flood forecasters warn of widespread overland flooding along the Red River this spring, the City of Winnipeg has started the fight against the rising tide. As provincial flood forecasters warn of widespread overland flooding along the Red River this spring, the City of Winnipeg has started its fight against the rising waters. 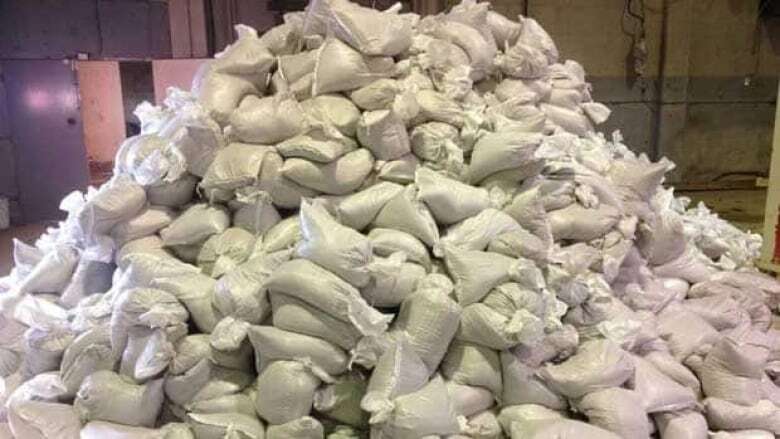 The city's public works department is now giving away sandbags to homeowners at risk of flooding. "In the spring time when temperatures are rising and snow is melting, overland flooding can be a problem in Winnipeg," said Ken Allen, from the city's public works department in an online video posted this weekend. "When that happens the city makes sandbags available to property owners so that they can protect their property from potential water damage." In the first detailed flood outlook of the year delivered late last month, provincial forecasters warned of widespread overland flooding along the Red River, with flows south of Winnipeg around the volume of the 2011 flood. But that warning came before heavy snow and rain hit south of the border, also bringing significant moisture in the form of snow to part of the basin in southern and eastern Manitoba. Since then, officials here have warned Manitoba flood levels could be even worse than 2009 — the second-highest since the Red River Floodway was constructed. The sandbags are available at 1539 Waverley St., 960 Thomas Ave. and 1220 Pacific Ave.